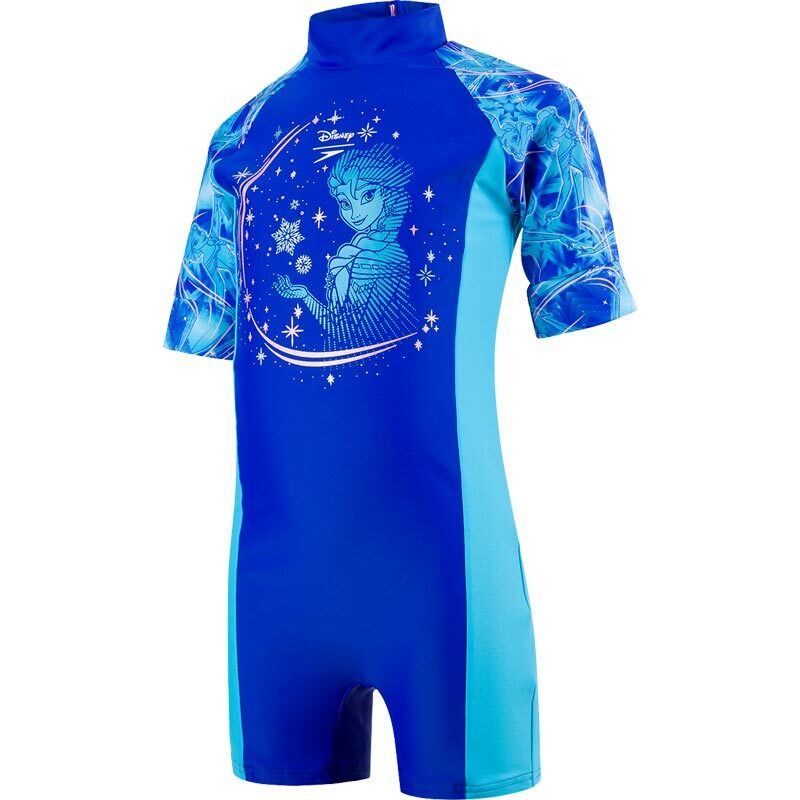 Bring the magic of Disney to the beach or pool with the Speedo ® Frozen All In One. 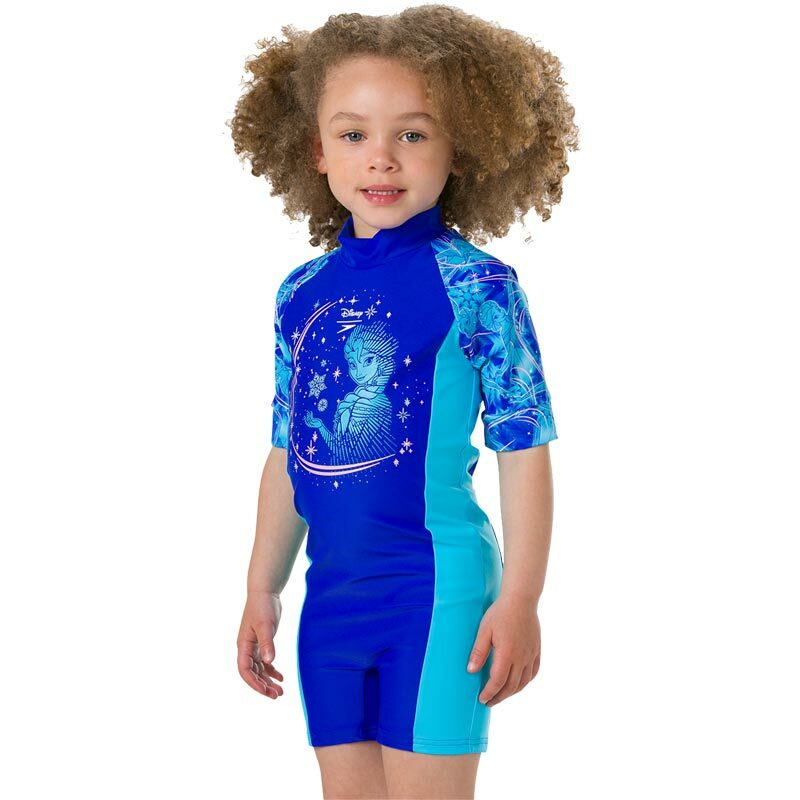 Featuring an Elsa motif design, its ideal for keeping young bodies protected as they swim and includes UPF50+ sun protection. Made from soft, shape-retaining Endurance 10 fabric for comfort and durability. 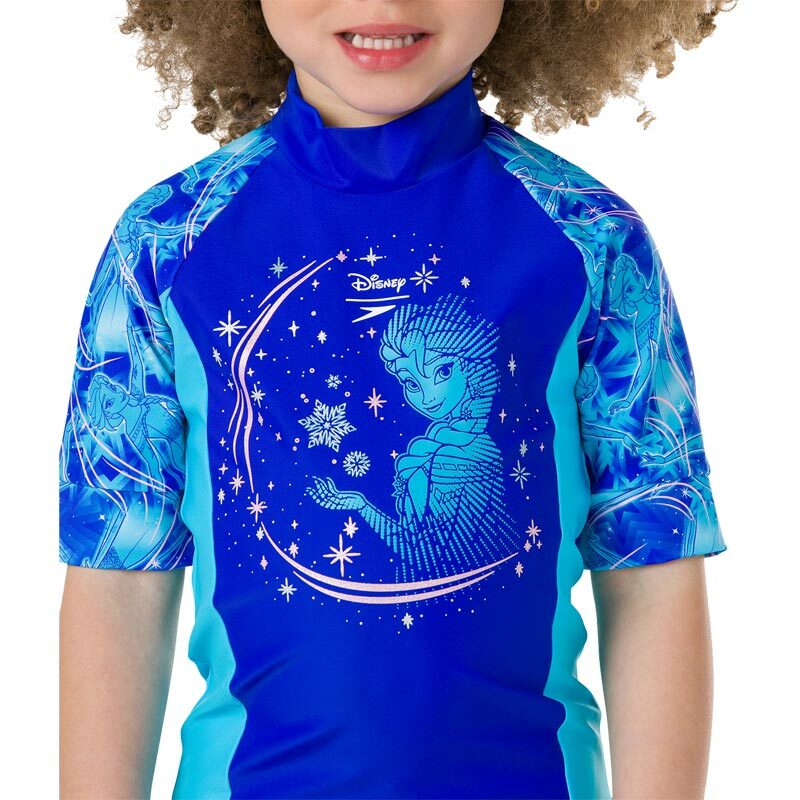 Take Elsa to the beach or pool with you! Sun protection suit covers shoulders, tummy and thighs to help protect your child. Glitter print adds to the Disney magic. Higher chlorine resistance than standard swimwear fabrics which fits like new for longer with CREORA HighClo. Shape retaining fabric stretches so you can enjoy your swim without feeling restricted.